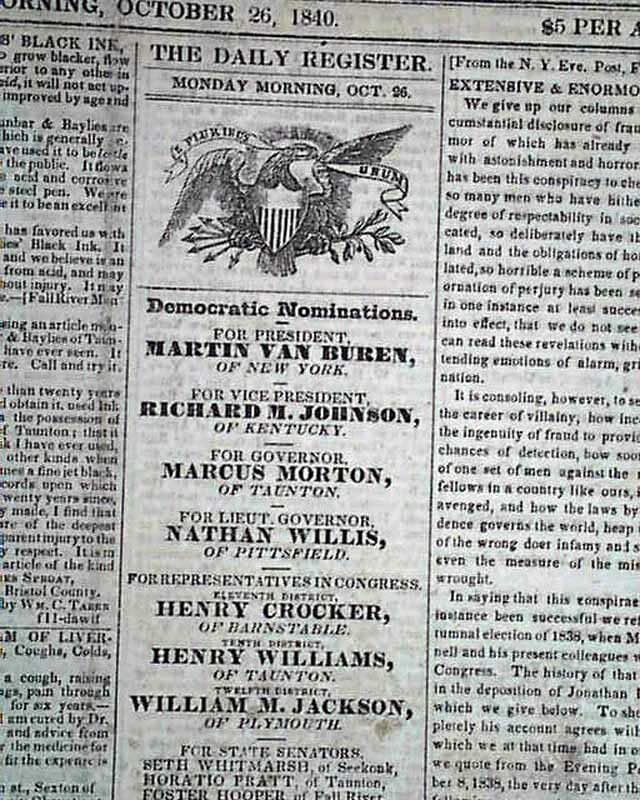 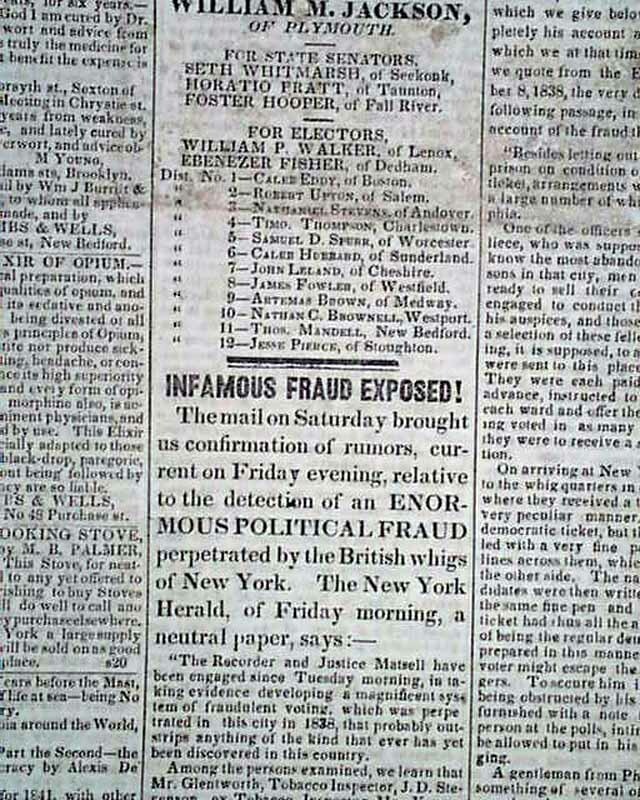 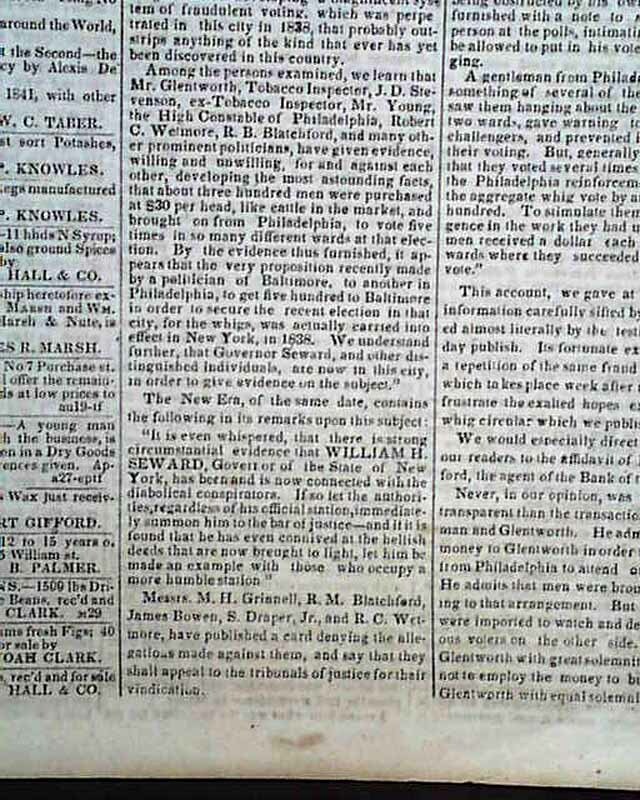 The front page has a nice printing of the Van Buren and Johnson Democratic Ticket, followed by: "INFAMOUS FRAUD EXPOSED", which tells of the Whigs of New York paying $30 per person to come to New York to vote in as many as five times in various districts (see images). 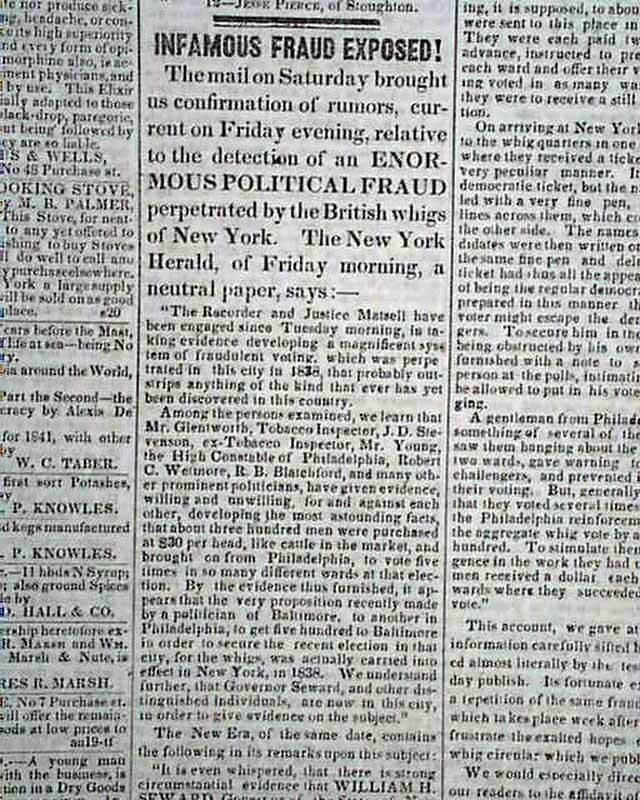 Other news of the day and period advertising is found throughout. 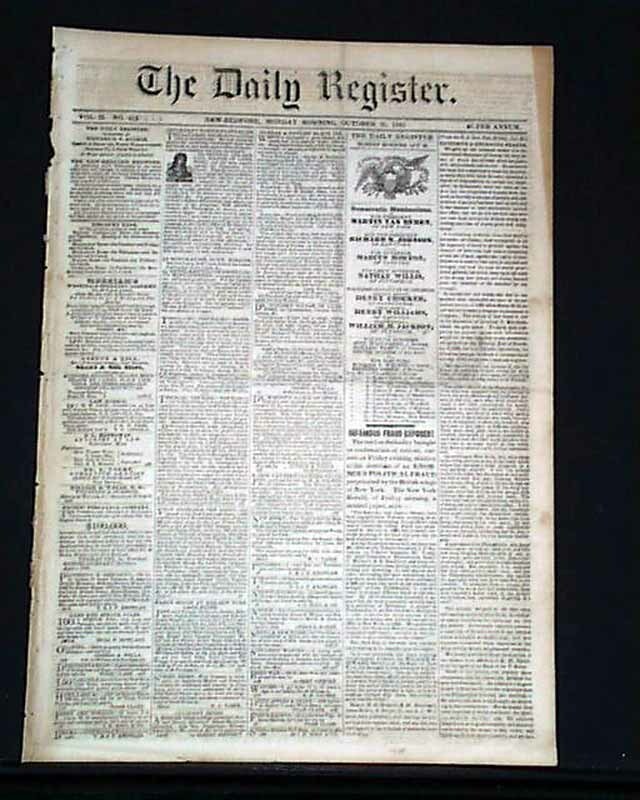 Complete in 4 pages, in very good condition.